Manufactured from New Zealand Clear Radiata Pine, to a high standard with a fine sanded finish, ready for painting or staining. The range comprises of over 40 imperial sizes - heights from 18" to 72" in 5 widths from 12" to 24" and 78" doors in 7 widths. 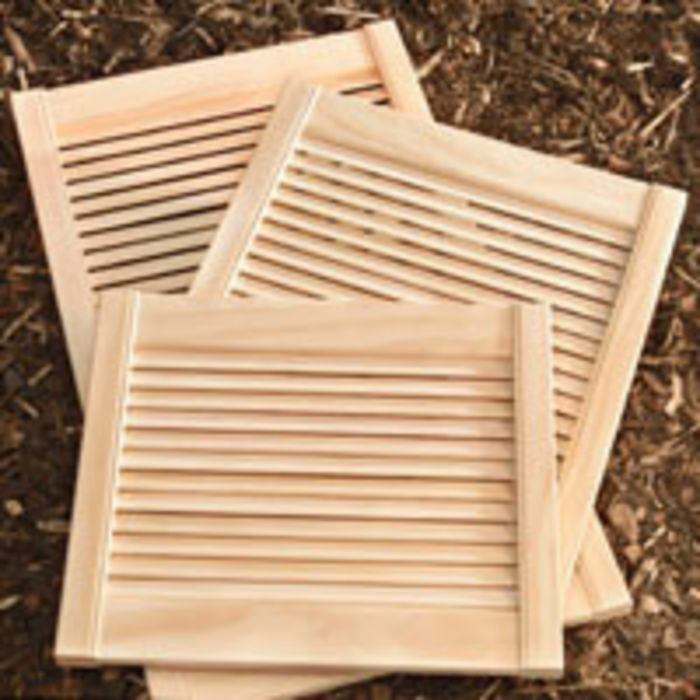 Timber dimensions used are: stiles - 44x28mm ; slats - 30x6mm. There are various doors sizes in each height range. Louvre Door heights include; 18", 24", 30", 36", 42", 48", 54", 60", 66", 72" & 78". Johnson Aldridge Pine Louvre Doors to Clear - 18" Louvre Doors start from only £5.60 (+vat), 24" Louvre Doors start from £6.80 (+vat), 42" Louvre Doors start from £11.50 (+vat), 60" Louvre Doors from £15.50 (+vat) & 78" Louvre Doors from £19.50 (+vat), with many other heights available.